"In the name of Christ, I refuse to be anti-gay. I refust to be anti-feminist. I refuse to be anti-artifiical birth control. I refuse to be anti-Democrat. I refuse to be anti-secular humanism. I refuse to be anti-science. I refuse to be anti-life"
What a difference between the two... so what has happened to make such a change in what a Christian USE to be described as & what a Christian IS described as today? 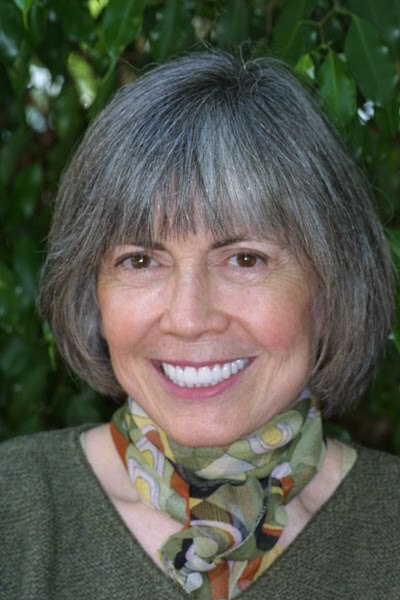 What has happened that makes Christians, like Anne Rice, want to pull away from being "labeled" a Christian? I dont claim to know the answer to any of this... at all... just something that really struck me. "The greatest single cause of atheism in the world today is Chrsitians, who acknowledge Jesus with their lips & walk out the door, & deny Him by their lifestyle. That is what an unbelieving world simply finds unbelievable"
I think we have a battle in front of us that only requires nothing but love... of being an example of Jesus... Jesus hated sin... but he loved the sinner....is that what we're doing? Is that what we are showing the world? Or are we only the things that people describe us as today? Believe me... I know some AMAZINGLY wonderful Christians - as I'm sure you do too... that the words that describe the first Christ Followers would apply to them as well. People who give of themselves totally - who are the hands & feet of Jesus - who love & forgive & shine the face of God to others. But why isnt the world seeing more people like that? I read the article on Anne Rice article and it made me sad because I too understand what she is saying. So many people have forgotten what it is to be a Christ Follower. I understand her too. She wants to follow Jesus and be Christ-like but at the same time not be filled with hate for others that have different lifestyles/beliefs, etc. Honestly, even though I don't know you IRL, I believe if all Christians were like you, Christians today would be described like the disciples above! :) And the world would be a better place!! Carolina Girl took the words right out of my mouth. I can totally see where Anne Rice is coming from. Many, many, many Christians take it upon themselves to "spread the word of God" but it comes out so hateful and rude that it is no wonder that we are seen as "above others". It also doesn't help when you have churches like Westboro Baptist who feel it necessary to tell others that God doesn't love us, he hates us, etc. After a while, it becomes hard to know what a "good Chritian" is. WOW, this is good Rebecca. Great food for though and so so true!!!!!! Jesus destroyed the "status quo" and raised the bar for us. I'm not sure the disciples weren't called bad names too. I see your point though. I know they were called bad things by the pharasees and the romans who killed some of them. The thing is, they were unjustly called those things. Those words weren't true of them. That's what we've got to get back to. We will always be persecuted and called bad things by those who don't agree with what we are doing. But the important thing is to make sure that what they say about us doesn't really match how we really act. When that happens the labels really do fit. And it is our fault. Some people are just uncomfortable with what it really means to be a true Christ follower. Great post! My husband has some non-Christian friends who express these same sentiments - if all this hate is what it means to follow Christ them I am NOT interested. It's very very sad. Steve and I were just having this discussion the other day, not about Anne Rice, I hadn't heard that actually, but about how important it is to love as Jesus did, and how we all fall so short of that at times. Thanks for the reminder to work harder at that. Steve emails me once a week a scripture about striving to imitate Christ. It's become sort of a weekly reminder for us. 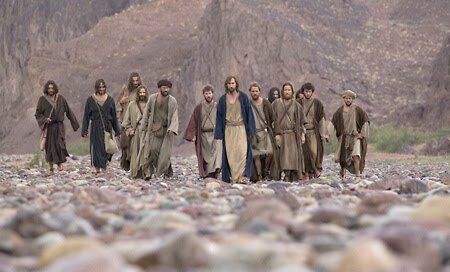 We discuss how we fall short of that particular scripture teaching and how we can better imitate Christ in our daily lives. And then we work to put it into action. But it's tough sometimes. Rebecca...so glad you shared all of this with us. I don't necessarily agree with Anne Rice's stance, but I get it...I really do! Yes, I think that if we opened our hearts to others just as Christ did, people would view Christians in a more positive light. We left our last church because of a small group of those so-called Christians. They drove out our pastor just 2 years after his 14 year old daughter committed suicide! There was no way we could stay, but we are still close with our former pastor, his wife & a small group of friends that left with us. We actually re-start our bible study tonight after the summer off & I'm so excited! Happy Wednesday.. Yes it is hard how people look at things in life. Loved this post...Makes you think! I read some of the comments when this news story broke and so many were wondering why it was so newsworthy that this one person decided to change her religious beliefs, which is kinda true! I get what she is saying. Really I do. I think you are right. If Christians spent more time out in the world loving people, it would change the public opinion of Christians. At the same time, there will always be wildly public groups (like the Westborough people) who go out there and give all of us a bad name. I think that when asked, "What do you think of Christians?" they refer to controversial Christians, and not just the everyday good Christian. I don't like to lump all people of a certain anything into one group. Each person is an individual. Unfortunately, one hypocritical Christian can taint a person's opinion. As you know, I am currently being challenged to live out my faith among those who probably hold the beliefs about Christians that you stated above. You are so right in that Jesus loved those who sinned...those who did not believe in Him. Ahhh...I could go on and on, but I know I don't have to because you know what I'm going through. Thanks, sweet friend, for posting this hard truth. We all need to read this every single day.